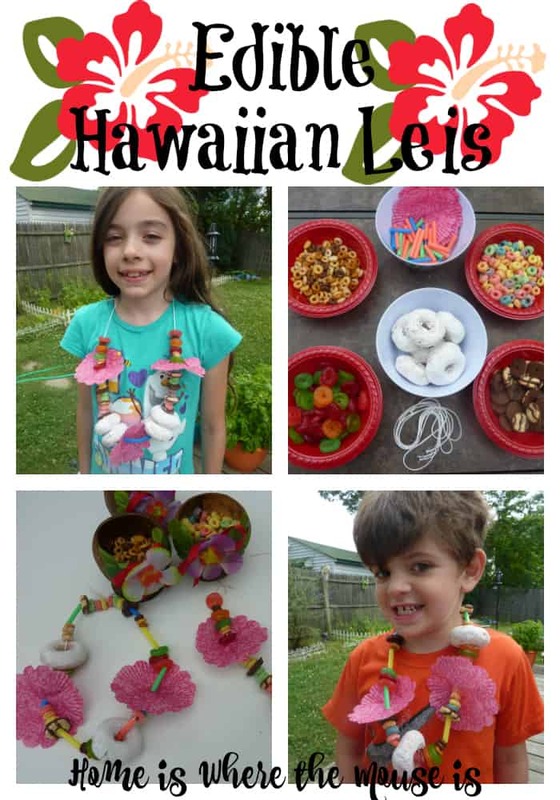 Gather your ‘ohana and let your creative juices flow while you make this Edible Hawaiian Lei project together. 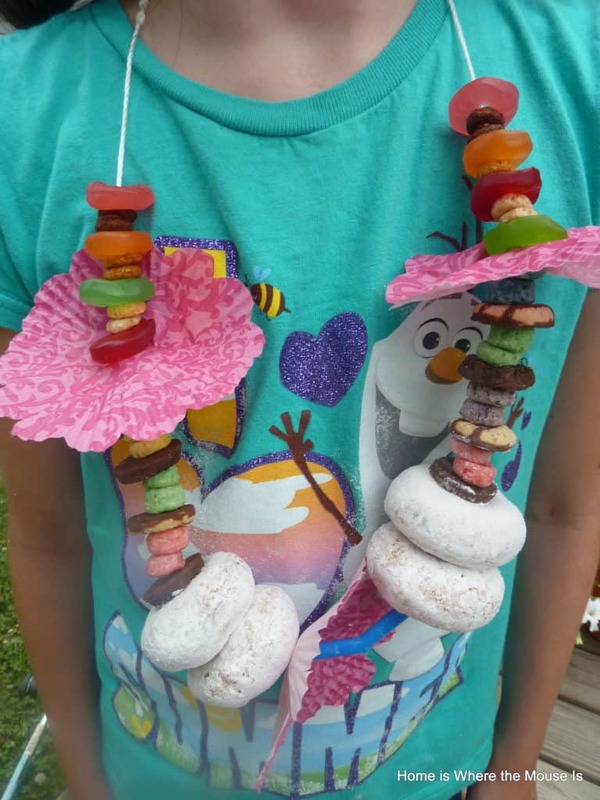 Kids will love stringing their favorite sweet treats to make a Hawaiian inspired necklace. Plus they get to eat it when they’re finished! Here’s how to make one. This project was inspired by Disney’s Polynesian Village Resort, one of our favorite resorts to visit. It is on our bucket list to stay there someday. I love all the details that went into creating the theme of the resort. As soon as you walk through the doors, it makes you feel like you’ve taken a trip to Hawaii. Disney’s Polynesian Village Resort is also home to our favorite character meal, Lilo and Stitch’s Best Friends Breakfast at ‘Ohana. We love starting our day at Walt Disney World with a character breakfast, and ‘Ohana instantly became a favorite the first time we tried it. The souvenir leis that used to be presented to each family upon arrival have become a special family keepsake. Here is a fun and easy project for your kids to do this summer that will bring the magic of the Polynesian home to you. I took the idea of the lei and gave it an edible twist. Your kids will not only love the hands on experience they will have making these, but they are also a sweet treat to enjoy once they’re done. You’ll also need a variety of foods that have a hole through the middle. Here are some suggestions. Begin by cutting a length of string long enough to fit over your child’s head once tied. Be sure to use a good quality string. 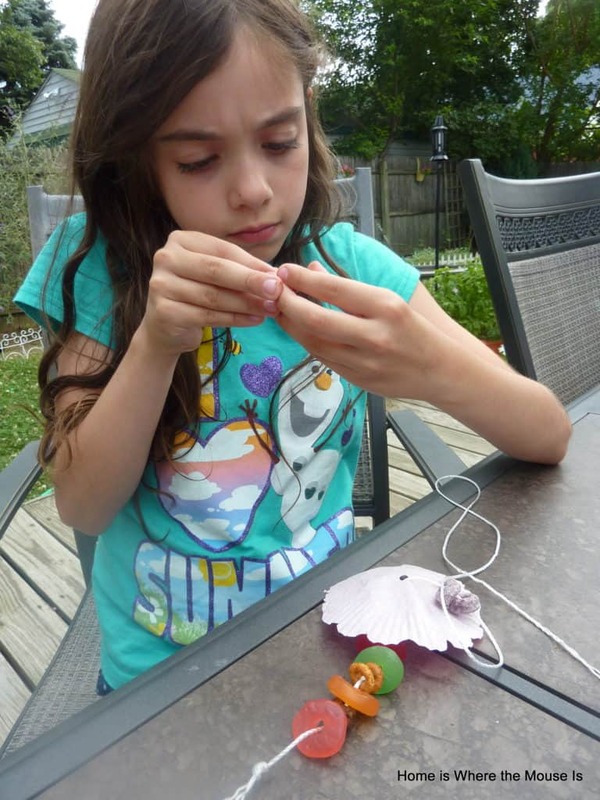 If not, the string will fray when your kids begin to string their ingredients on their necklace. 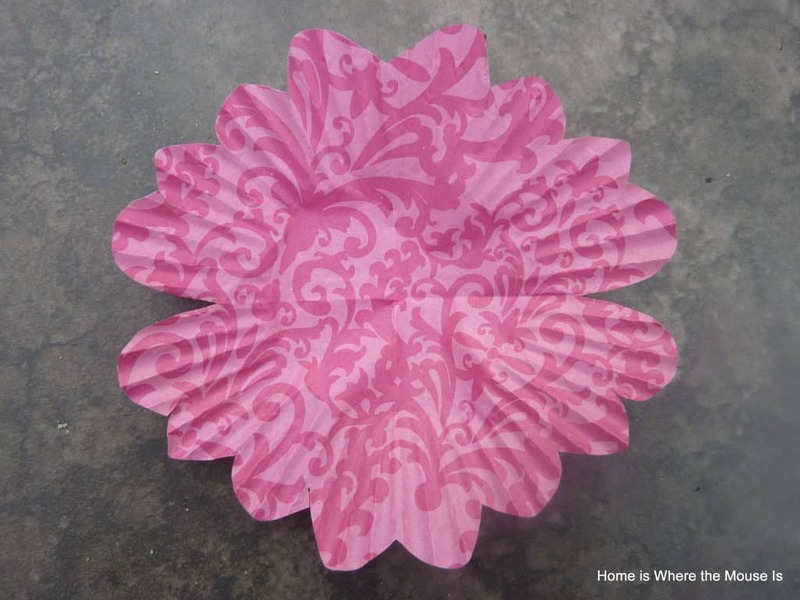 Fold individual cupcake liners in fourths. Cut around the edge to create a flower shape. Use a hole puncher to make a hole in the center of the liner while it’s folded. Lay out all of your ingredients in bowls. This will make it easier for the kids to work together. Also have a bowl of cut straws. The kids used these as spacers. Now the fun part begins! 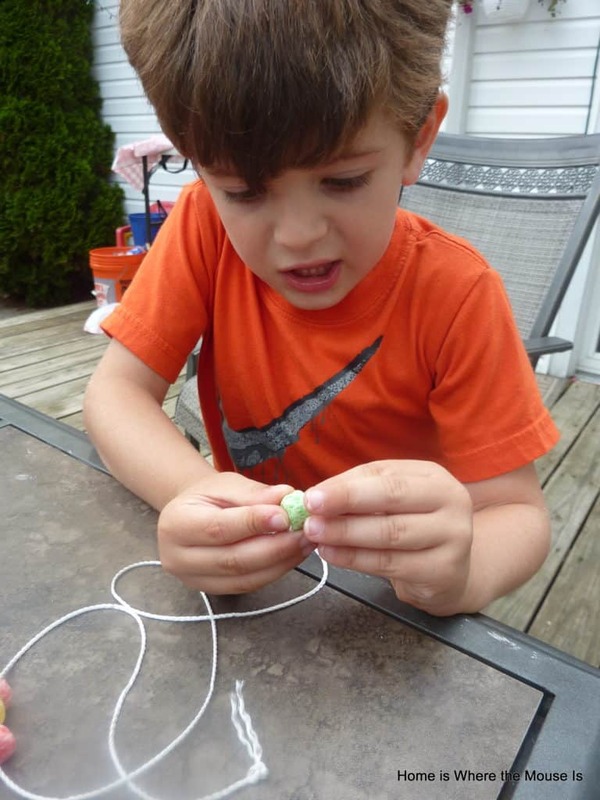 Have the kids use the ingredients to create their own leis. They can use which ever foods they wish in any pattern. It’s fun to see what they’ll come up with! Once their Edible Hawaiian Leis are complete, tie the ends together and place them around your child’s neck. They’ll be ready to say Aloha in no time! 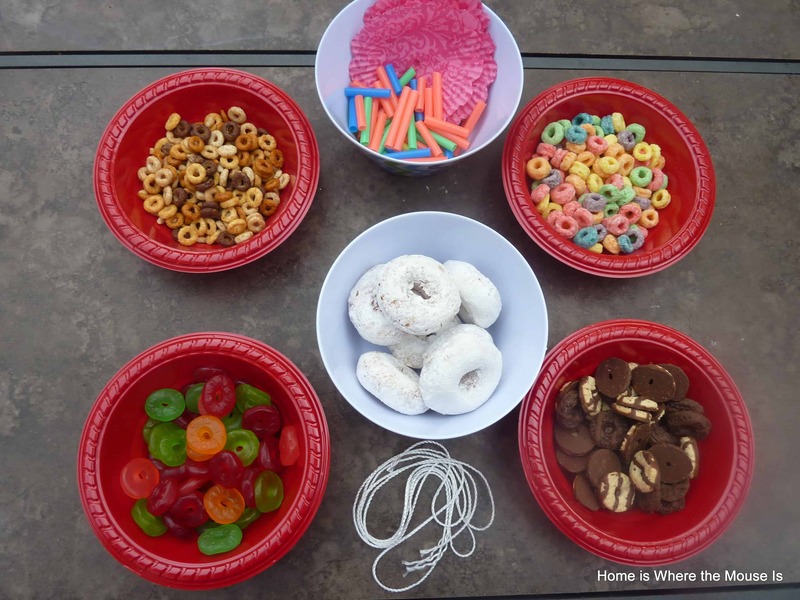 This project is perfect for a Luau party or a Lilo and Stitch Family Movie Night. Whatever the occasion, making Edible Hawaiian Leis is a way to bring a little of Disney’s Polynesian Village Resort home with you! For more Disney DIY and Craft Ideas check out our board on Pinterest.